It's "14:41 of mental techno recorded in a single take"
After some new music from Daft Punk's Thomas Bangalter appeared on a Gaspar Noé soundtrack last month, another new track has found its way online. 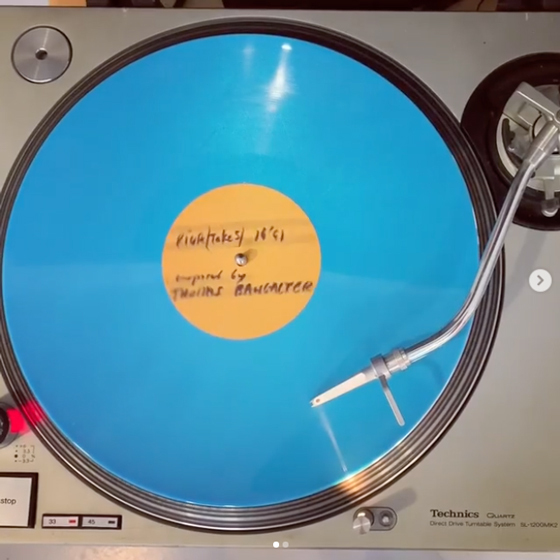 As Resident Advisor points out, a 14-minute song from Bangalter titled "Riga (Take 5)" was shared on social media by Ed Banger Records over the weekend. You can hear a clip in the players below. UPDATE (10/26, 11:30 a.m. EDT): You can now hear the full 14-minute song down below. The label describes the song as "14'41'' of mental techno recorded in a single take," while also clarifying that the track was not released through the label. "Riga (Take 5)" arrived as a single-sided, blue 12-inch, included in a 3-LP soundtrack set called Music from the Film Riga (Take 1) by SIG. According to Discogs, only 500 copies of the release were pressed and sold at Luminor Hôtel de Ville in Paris at the film screening this past June. Earlier this year, it was revealed that Bangalter had got back together with his Stardust groupmates to celebrate 20 years of their monster single "Music Sounds Better With You." Last month, Daft Punk and the Weeknd were sued for allegedly ripping off their collaborative hit "Starboy."